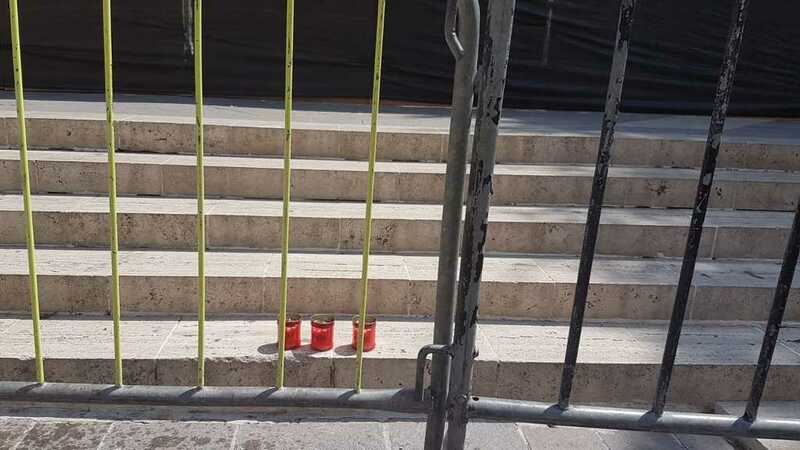 A woman bought three candles and stretched her arm through police barriers to place them on the steps of a public square. Another woman straight off the street got close to her and took pictures of her doing so with her phone. There was no doubt she was not taking pictures in admiration but rather as a certain type of person would take a picture of someone urinating in a street corner. The first woman had placed candles on the same spot yesterday. They were removed almost immediately after she turned her back. The same happened the day before and the day before that. A government-leaning newspaper editorial this morning called this provocation. They had the first woman in mind.